Jackson-Feild specializes in the treatment of the multiple effects of trauma. More than 90% of the residents admitted to Jackson-Feild suffer from moderate to severe levels of trauma. These include deficient prenatal care and maternal alcohol and drug exposure, early separations and abandonment, and sustained emotional, physical and sexual abuse. A systematic process of evaluation is essential to determine the most likely psychiatric diagnoses and to develop an individualized and effective treatment plan to achieve optimal therapeutic results for each resident of Jackson-Feild. The different components of this evaluation are systematically collected and documented by the members of the entire clinical team. These include the attending psychiatrists, nurse, social workers, therapists, cottage staff and school teachers. When indicated, psychological and neuropsychological testing is also conducted. In addition, thorough physical examinations are conducted by a consulting primary care physician on every resident admitted to Jackson-Feild. Treatment plans are individualized and are based on the information collected during the initial and ongoing evaluation of the residents. The process of treatment can be thought of as consisting of three overlapping phases. In each phase a different emphasis is placed on the different components of treatment. In Phase 1, medications, if needed, receive special emphasis treatment for a number of the core symptoms demonstrated by the resident and are carefully selected to reduce these symptoms. Significant benefit from treatment with medications can often be recognized in a few weeks, and optimal improvement is frequently achieved in two to three months. The rapid reduction of symptoms help the resident feel better and to benefit more from psychotherapy, guidance by the staff in their cottage and academic work, which are all initiated in Phase 1. In Phase 2, individual and group psychotherapy, the development of effective coping skills and academic work assume the primary focus of treatment. The main work in this phase of treatment is to enhance the resident’s understanding of those behaviors that are harmful to their leading a productive life and replacing them with behaviors that are much more effective. In Phase 3, the resident has made considerable progress in understanding and controlling their behavior, and enhancing their interpersonal skills. Now the focus of treatment expands to strengthen the processes of mature reasoning that can be applied to solve the broad number of problems that they will encounter throughout their lives. 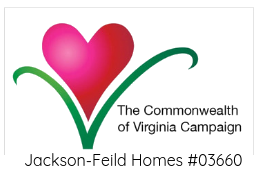 The resident is ready for discharge from Jackson-Feild when they have entered Phase 3 of treatment and Community-based services for their continued care are clearly established.